The right planning can ensure your loved one has the resources to improve his or her quality of life, now and in the future. Our planners can perform a complete review of your financial situation, offer customized options that coordinate with government programs, and develop a Life Care Plan for your loved one. 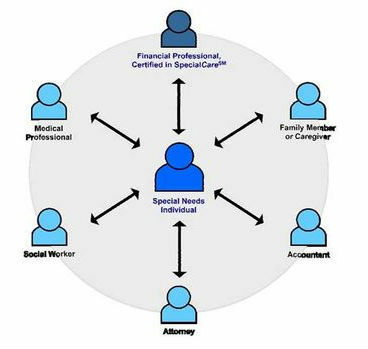 The Special Care Planner receives advanced training and information in estate and tax planning concepts, special needs trusts, government programs, and the emotional dynamics of working with people with disabilities and other special needs and their families. The certificate program is offered by The American College in Bryn Mawr, PA, exclusively for Massachusetts Mutual Life Insurance Company (MassMutual) financial professionals. is a program exclusive to MassMutual that provides access to information, specialists and financial products and services.